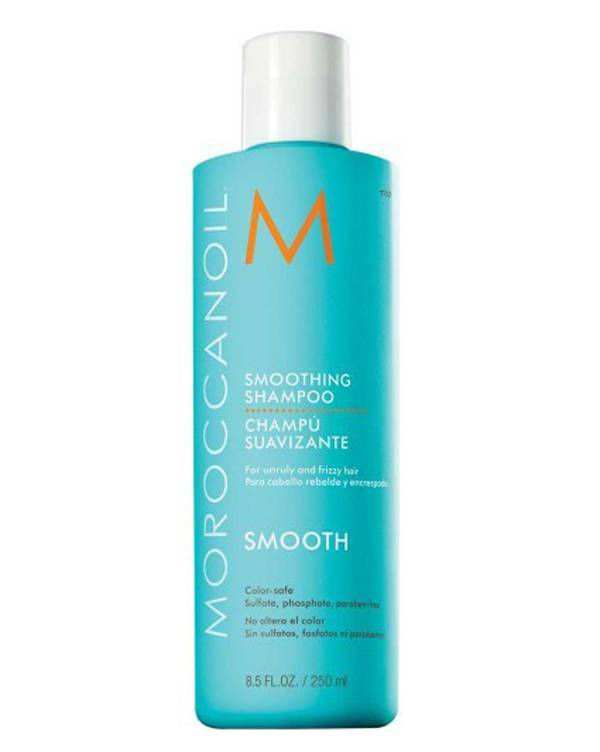 The Moroccanoil Smoothing Shampoo donates immediate calming of the hair structure and provides greater smoothness and suppleness. Argan oil and Arganbutter fill with the help of the patented ingredient AminoRenew ™ on Keratinbausteine in the hair inside and make the hair smoother, quieter and smoother. The effect lasts up to 72 hours. Due to the concentrated formula of hydrophilic-smoothing shampoo hair should be really wet. The shampoo gently massage into hair and scalp and add some water to obtain a rich, lush foam. Then rinse well until water runs clear. If necessary, repeat. Then apply the smoothness ends conditioner to produce the maximum structural settling.